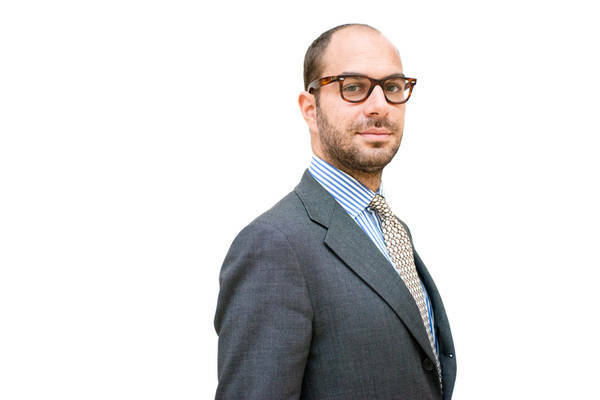 Unlike Caravaggio or Bernini, Guido Cagnacci is a name scarcely heard in the Italian art world. An extraordinary painter, he was born in Santarcangelo di Romagna in the 17th century, while the Baroque art movement was in bloom. Art historian Claudio Strinati refers to Cagnacci as “the least Italian among Italian artists,” as he was not able to achieve his highest form of expression until after leaving Italy for Austria later in life. Not to mention the fact that the family name, Cagnacci, died with him, since neither he nor his siblings ever married. Having no successors and having done his best work abroad, the talented Cagnacci has largely been forgotten... until now. We know just snippets of Cagnacci’s mysterious and often tempestuous life, mostly thanks to his criminal record. The first we hear of him is when, then 27 years old, he fell in love with a rich aristocratic woman. In order for the two to elope, Cagnacci’s lover dressed up as a man to escape her palace. But the couple’s plot was reported to the police by none other than the painter’s own father. As a result, Cagnacci went into hiding, while the widow was arrested and wound up being forced to marry a distant cousin. Another strange fact known to us about Cagnacci is that a few years later, for no apparent reason the daughter of a stonemason left him all of her money. The painter was always surrounded by beautiful young women, but because it was illegal for single women to live with a single man, the women would cross-dress to pass themselves off as his assistants. Cagnacci himself created a pseudonym for his affairs, though he always signed his paintings with his real name. Cagnacci’s paintings were often ridiculed by other artists as the grossly unoriginal work of an incompetent artist. His work is characterized by chiaroscuro and overwhelmingly sensual subjects. The Repentant Magdalene, currently on display at the Frick Museum, depicts Magdalene’s fresh start as a Christian after leading a life of sin, a conversion recounted in Pietro Aretino’s L’umanità di Cristo (Humanity of Christ). Aretino tells the story of two sisters: Mary Magdalene, a wealthy, well-dressed court prostitute, and Martha, quite the opposite, plain and boring but morally upright. One day Martha convinces her sister to go to church to listen to Jesus. After she agrees, Mary dons one of her most expensive outfits along with tons of jewels and strings of pearls. As soon as she hears Christ speak, Mary realizes all of her wrongs and drops to her knees. When she gets home, she locks herself in her bedroom, removes all of her clothes and jewelry, and, sobbing, rejects her shameful life. The painting clearly portrays this story and includes an allegorical reference to an angel and a devil to show that virtue always triumphs over vice. When deciding which masterpiece to add to the Frick collection, chief curator Xavier F. Salomon said, “I could’ve picked Rembrandt, I could’ve picked Goya, I could’ve picked Degas or Manet or lots of fantastic things they have, but I immediately decided to pick [Repentant Magdalene]. 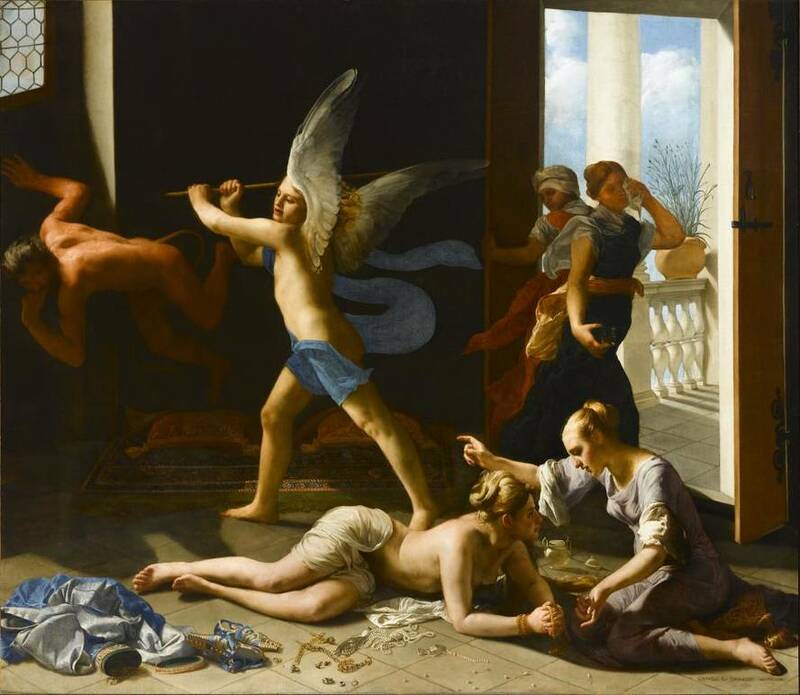 I did so for two reasons: it is Cagnacci’s absolute masterpiece and there are only four works of Cagnacci in public collections in this country. 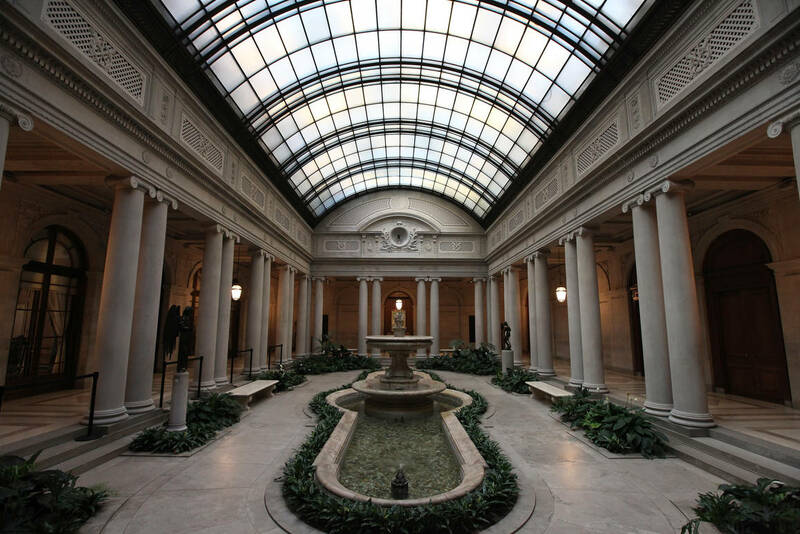 This is by far a unique thing.” Salomon hopes to introduce not only New York but also the whole country to an artist that is practically unknown here, to deliver this hidden gem to a larger public. Not a single scholarly article has been written on Cagnacci in English. Salomon felt it was his task to demonstrate just how brilliant Cagnacci was, especially in the landscape of Italian 17th century art. 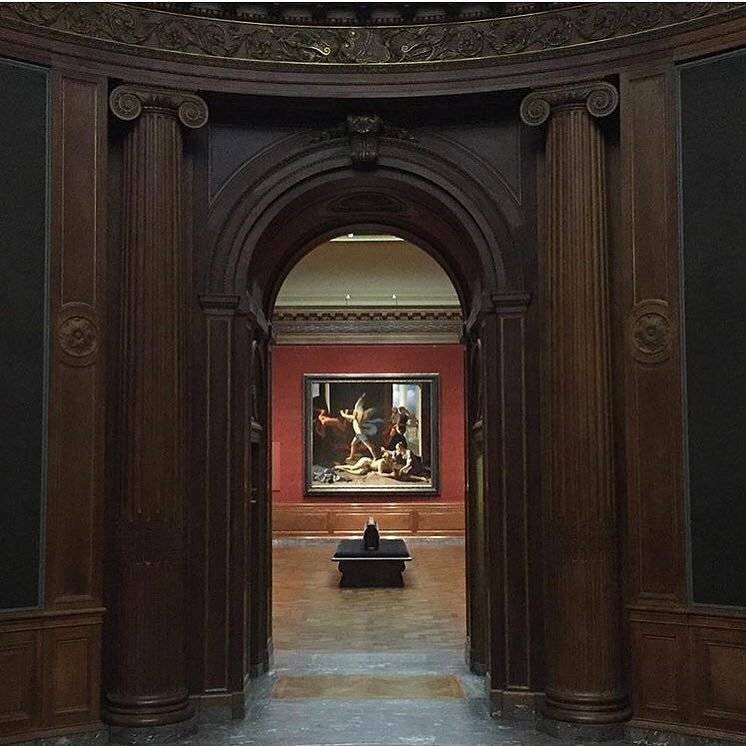 Repentant Magdalene, on loan from the Norton Simon Museum will be on display until January 22 before going back to its home in California. Another beautiful work by Cagnacci, Dying Cleopatra, can be viewed in person at the Italian Cultural Institute from December 2 until January 19. Another version of Cagnacci’s Dying Cleopatra will be showing at the Metropolitan Museum during the same period.